Only one thing comes to mind when I hear the word Kesum, and that is Asam Pedas. I’m no cook but I do know it happens to be one of the basic ingredients in my favourite Malaysian dish. As cooking really isn’t my forte, hunting for Asam Pedas is the next best thing. I have to say, it is not the most common dish you find in “nasi campur” restaurants. I often wondered why, and my bestfriend who happens to be from Muar (a town famous for Asam Pedas) told me it’s probably because cooking Asam Pedas from scratch can be quite time consuming. Truth be told, a good Asam Pedas is rather hard to come by in KL. 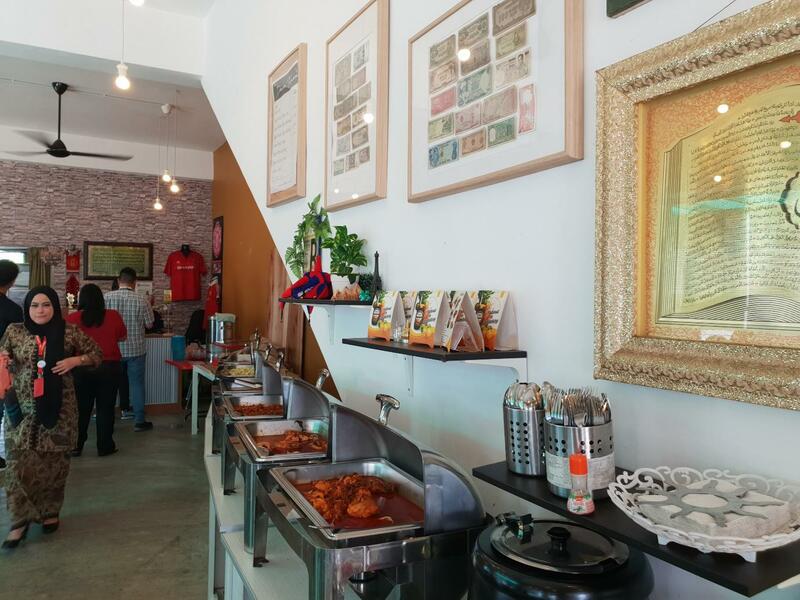 As luck would have it, last week I stumbled upon Daun Kesom Restaurant while looking for a lunch spot in Cyberjaya. I didn’t know anything about the menu, but their name gave me a good feeling I might find just what I was looking for. 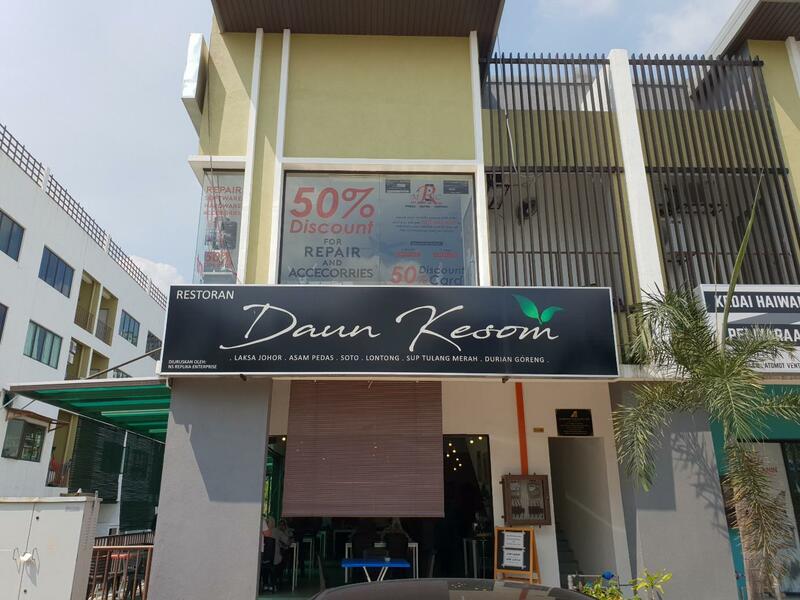 Daun Kesom is located at Plaza Crystalville Cyberjaya, right beside Omot Pet Store. Daun Kesom opens for breakfast as well! While I did not get to check out the breakfast menu, if it’s anywhere as good as their lunch, I’m in! Daun Kesom did not disappoint. They had 2 different Asam Pedas dishes that day, fish and chicken! Chicken Asam Pedas is pretty uncommon so I was very excited to try that out. I was also very pleased to see that they had salted egg, which is a must for me to fully enjoy Asam Pedas. I always feel it’s slightly incomplete without it so I was glad Daun Kesom did not let me down there. I wasn’t actually very hungry that day and I told my friend “ I’ll be going light for lunch”. Things didn’t go as planned of course, as I just could not resist the food. I spotted Ayam Goreng Kunyit amongst the dishes, which also happens to be another one of my favourites. 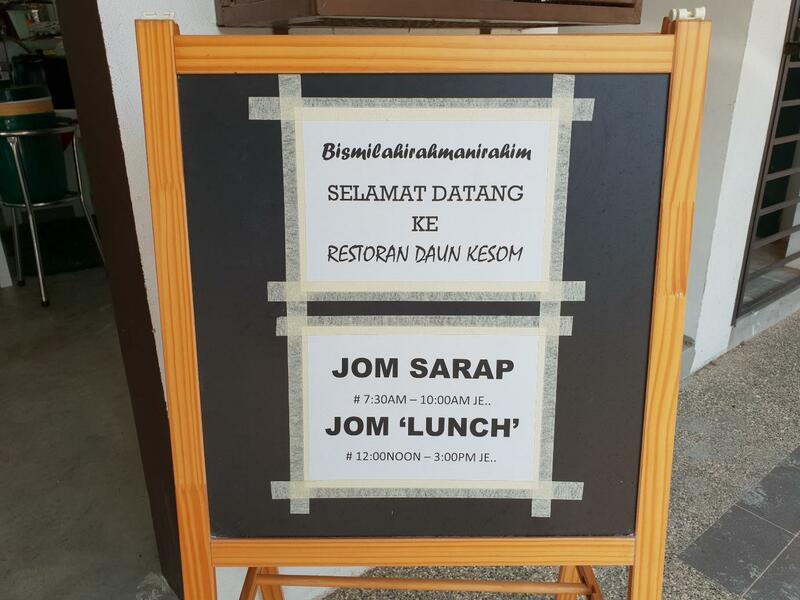 That’s when I knew I was fighting a losing battle to have a diet friendly lunch at Daun Kesom. We did go light, if only for dessert! 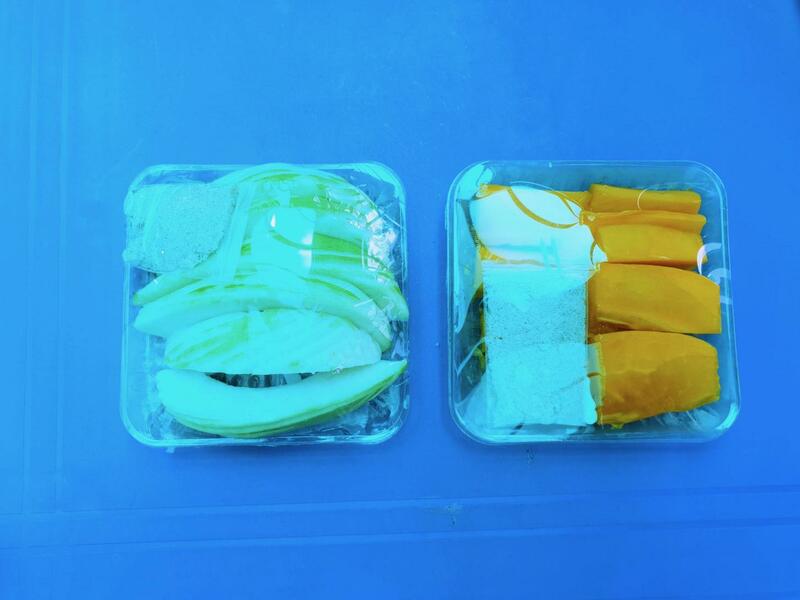 We both had cut fruits which came with a generous serving of asam boi. Yum! 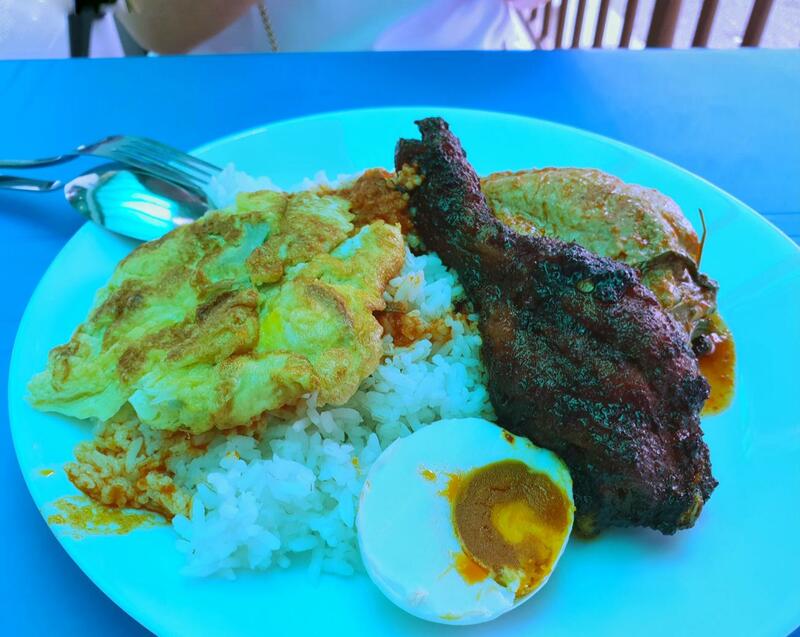 My friend took the chicken Asam Pedas as well as the Ayam Goreng Kicap Kering which were both delicious. This was my plate. So much for my light lunch! I paid via TaPay and our lunch bill for the both of us inclusive of drinks was only RM 27! 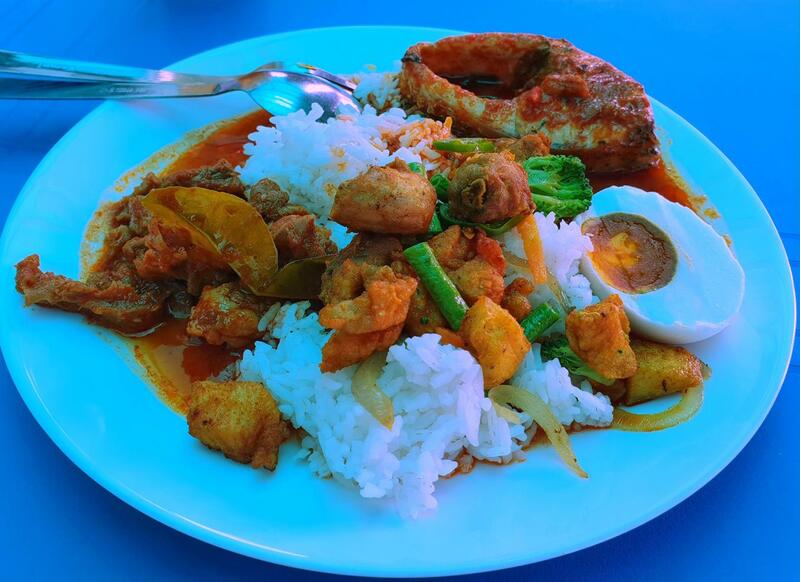 Really good value for money and the food is great as well, with the Asam Pedas being the highlight, naturally. Daun Kesom hit all the spots and it might just be my favourite nasi campur in Cyberjaya so far. I’ll definitely be back for more!